Lazetta Rainey Braxton, a CERTIFIED FINANCIAL PLANNERTM practitioner (CFP®), founded Financial Fountains in 2008. Her passion for her clients financial well-being and for teaching effective stewardship practices is the cornerstone of Financial Fountains client-centered approach. Lazetta engages a holistic perspective when providing financial planning and investment management services. Lazettas extensive background in financial and managerial accounting, internal auditing, investments, and wealth management services provides a strong foundation for delivering financial advice and investment management services to individuals, families, and institutions. Prior to founding Financial Fountains, Lazetta served as vice president at Diversified Trust Company (DTC), a comprehensive wealth management firm with offices in Nashville, Memphis, and Atlanta. At DTC, Lazetta was integrally involved with providing investment and estate planning services to high-net-worth individuals and to institutions. While obtaining her MBA, Lazetta worked for Wachovia Charitable Services in Winston-Salem, North Carolina, and assisted with the investment management of institutional charitable trusts, gift annuities, and pooled income funds. In her position as a financial analyst with Wachovia Asset Management, she supported the equity investment team in managing client portfolios. Lazettas other positions with Brown Capital Management, Aerotek, and Marriott International afforded her significant experience in accounting, internal auditing, and the intricacies of business management. 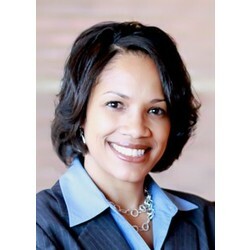 As an advocate of financial literacy and diversity in the financial planning profession, Mrs. Braxton serves as President of the Association of African American Financial Advisors, as well as a member of the CNBC Digital Financial Advisor Council, the CFP Board Womens Initiative Advisory Panel, the Financial Planning Association Diversity Committee, and the Foundation for Financial Planning Grants Committee. Her community involvement includes pro bono volunteer activities sponsored by Quad-A, FPA, the National Association of Personal Financial Advisors (NAPFA), and AARP. Lazetta's articles and blogs have been published by CNBC.com, the Journal of Financial Planning, Dimespring, and The African American Lectionary. She has been quoted in national publications such as the The Wall Street Journal, Kiplingers, Black Enterprise, Investment News, and Diversity Women. Mrs. Braxton is a speaker on financial planning topics for audiences from various backgrounds and professions. Lazetta holds an MBA in finance and entrepreneurship from the Wake Forest University Babcock Graduate School of Management and a BS in finance and international business from the University of Virginia (UVA). She received her Certificate of Achievement in Personal Financial Planning from Metropolitan Community College of Omaha, Nebraska.